Drummers in Rastafarian caps set the stage for an energetic and pulsating show by Emirati designer Abeer Al Suwadi. The highly theatrical show, with feeding bottles, Rasta braids, Thai headdresses, cupcakes and large glasses on the models, that made for a fun collection that reflected the designer’s personality. 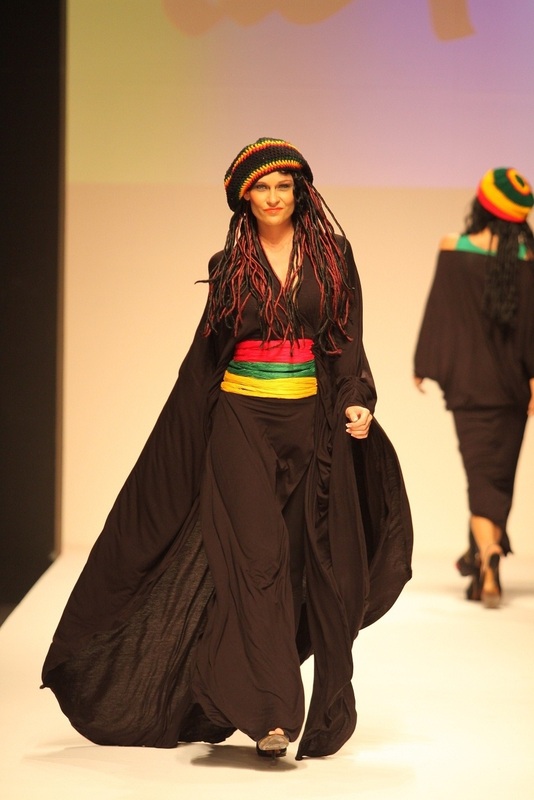 The collection paid tribute to Bob Marley and David Bowie by boldly emblazoning their faces onto the black abayas. Innovative designs included knotted coloured cloth that held the abayas in place, as well as the 2-piece abaya and patterned sleeve endings in a myriad of colors. The ever popular butterfly sleeve took a whole new meaning as models in black abayas strutted to reveal brightly coloured patterns on the underside of the abaya. The collection was divided into four themes, taking one through the 70s, 80s, and the 90s, with one theme focussing on Moroccan and Thai culture. The abayas reflected the Emirati woman as one with multiple interests and passions. The material of choice was primarily cotton, in a bid to make comfortable, weather-friendly abayas. Abeer Al Suwaidi is the pioneer of the skinny abaya and the illustrated abaya. Both styles made appearances on the runway in various materials, shades and patterns. The tempo of the show was a gradual build up, climaxing in the models bursting out onto the stage. 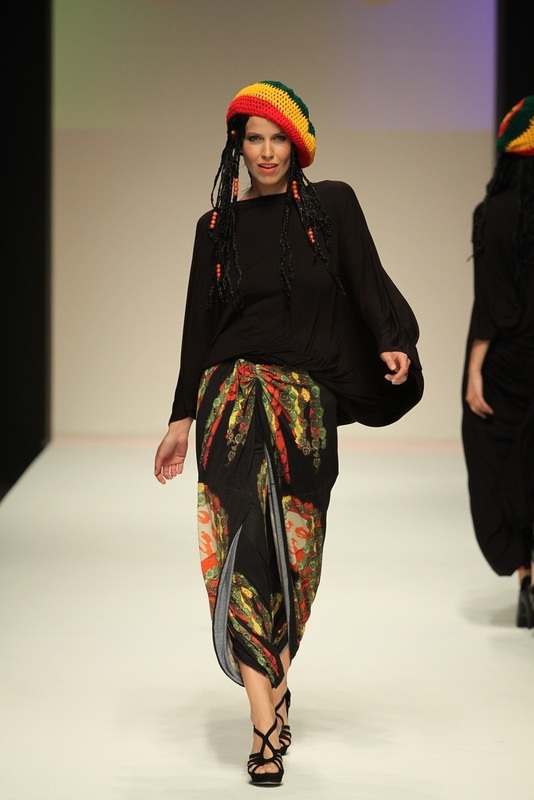 The collection was demonstrative of the abaya’s fusion with pop culture without compromising its classic appeal. The show was a joyful tribute to the glorious yesteryears, by and for, the Emirati woman.